Copia’s technology allows businesses to safely donate their excess food, access enhanced tax deductions, and receive powerful data to inform food purchasing decisions. 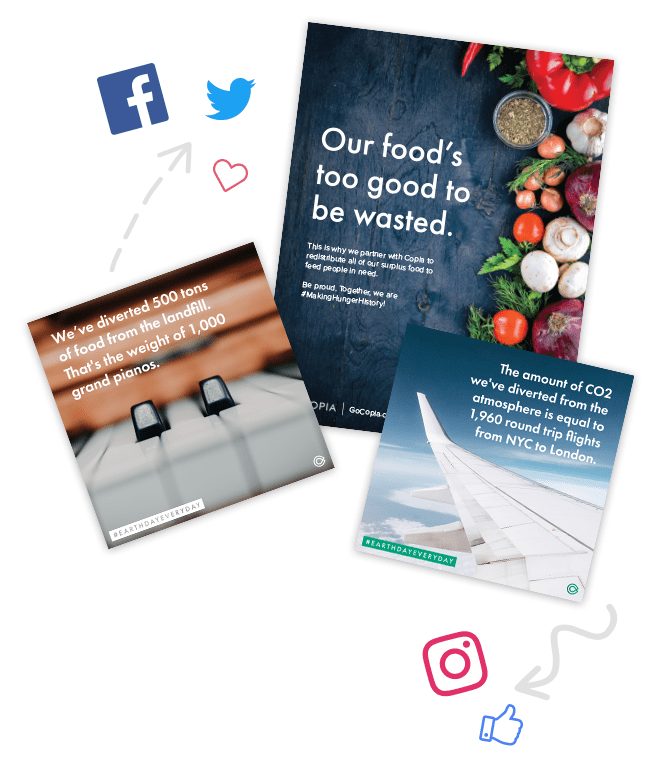 Food waste and hunger are inextricably linked issues, and Copia™ has developed the world’s first end-to-end solution that addresses both. Restaurants, hotels, hospitals, corporate cafeterias, and other businesses with food use Copia’s technology to understand overproduction trends and reduce surplus over time, while ensuring that excess food is used to its highest and best potential — to feed people in need. Use Copia’s app to schedule pickups of your surplus food. We provide all the tools to efficiently prepare and package your meals like a pro. 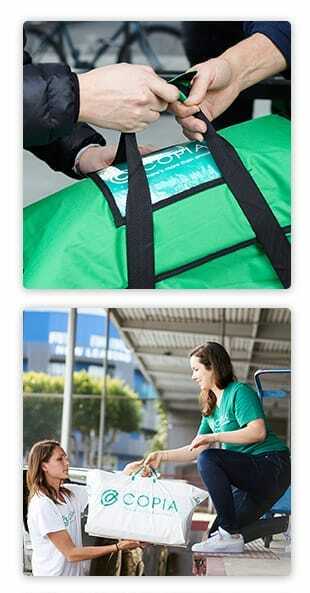 Rely on a Copia™ driver to pick up your excess food and deliver it safely to a local nonprofit recipient. Track surplus trends, make better buying decisions, and access significant tax savings through your Copia™ dashboard. The cost of food waste is no joke. Americans discard more than $160 billion in food each year. Here’s the good news: For every $1 a company invests in food waste reduction, they can expect a $14 return on investment. Here’s the even better news: Copia™ offers more than just a solid ROI — we provide best-in-class service, robust analytics, significant tax savings, and materials to help your business broadcast exciting news about your community impact. 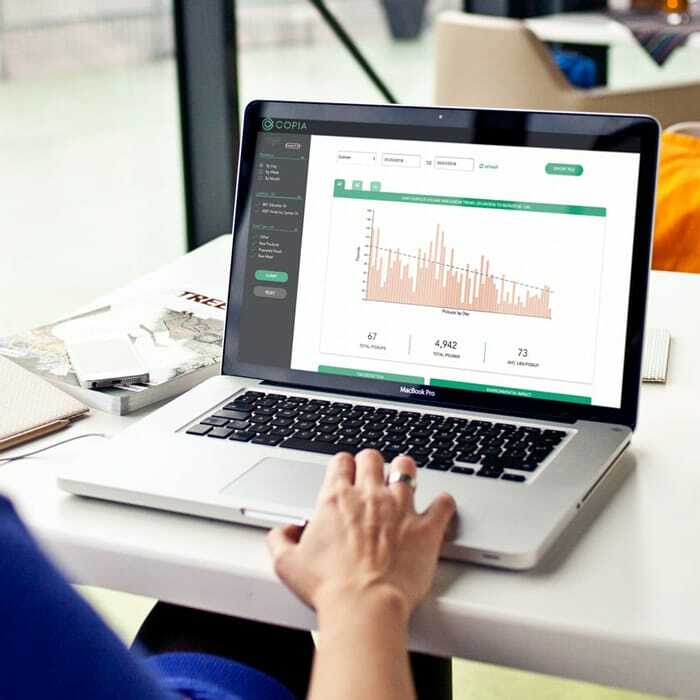 Through Copia’s dashboard, your business can access real-time data and actionable insights to help you understand food surplus trends to reduce over-purchasing and overproduction — saving your business thousands of dollars annually. 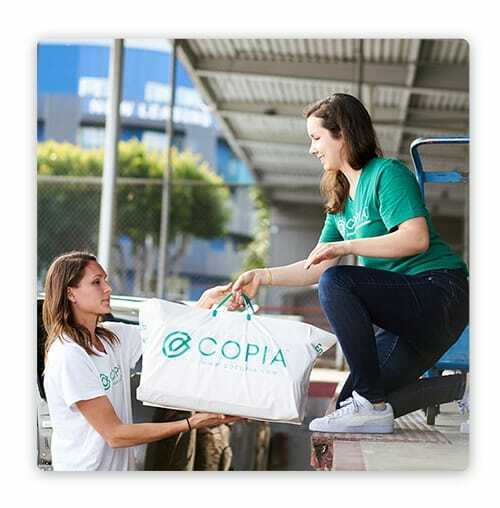 Copia™ offers a best-in-class, professional pickup service that ensures your food is safely delivered to a nonprofit recipient within one hour. Better yet — we can scale as your business grows and serve as the single food recovery partner across your portfolio, big or small. Your decision to partner with Copia™ for food recovery will result in powerful stories that are too exciting to not publicize! We’ll provide customized, press-ready materials to help you share your impact and demonstrate your forward-thinking approach to benefiting the community. 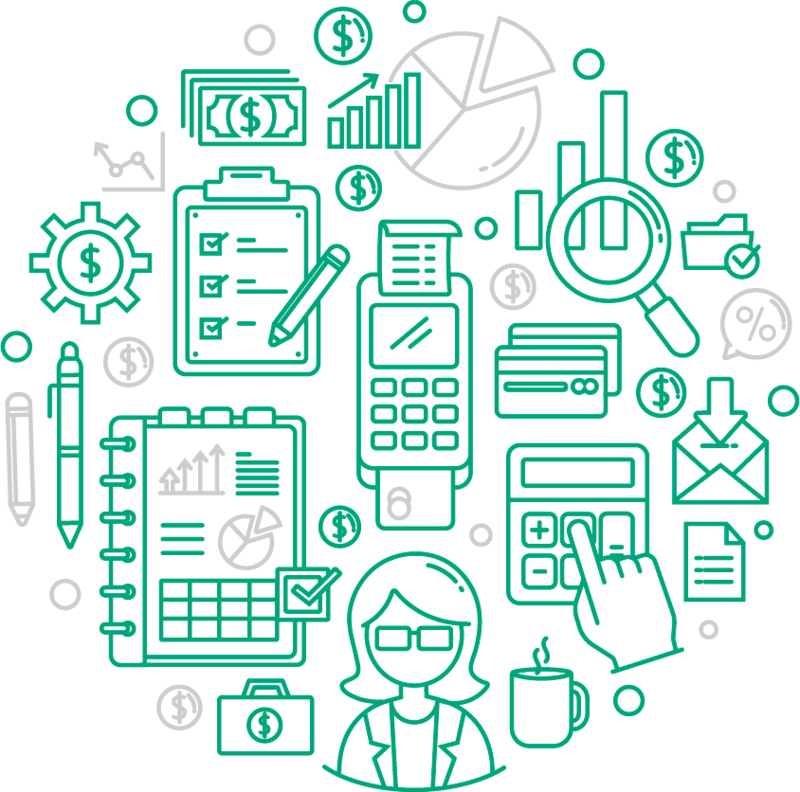 Copia’s automated and audit-proof tax deduction service helps your business unlock tens of thousands to tens of millions of dollars in additional financial savings. Copia is a no-brainer. This is the solution Compass has been waiting for. We can save money, save the environment, and feed hungry people. Plus our client loves us for it. Working with Copia just makes business sense. Thumbtack is excited to partner with Copia to ensure that our surplus food goes to San Franciscans in need. We love that Copia uses technology to solve the complicated logistics of food recovery. 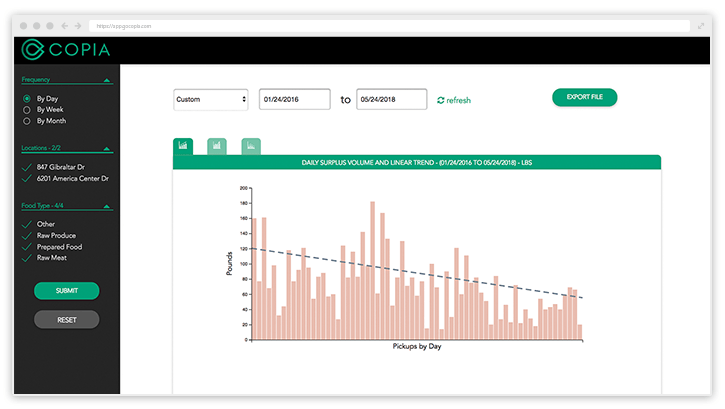 Copia helps us track our surplus better, and in just 6 months, we reduced overproduction by 50%. Beyond doing the right thing for our community, partnering with Copia makes clear business sense. Bon Appetit feels proud knowing that our surplus feeds the community and no food is being wasted in our kitchen. Copia’s partnership is amazing, and is great for employee retention and morale. Not a business? Sign up to receive food.